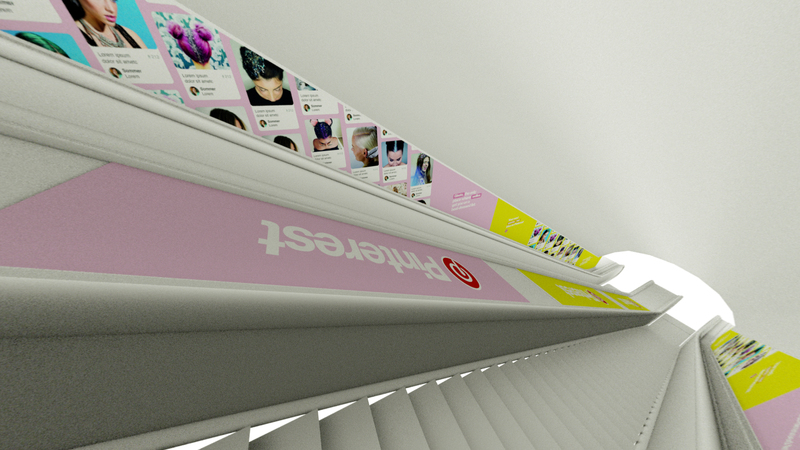 A 360 campaign to shift perceptions of the world’s catalogue of ideas. Pinterest approached us with the challenge to shift perception in young women that Pinterest is not just for big projects, but for creative, useful everyday ideas too. Our solution? 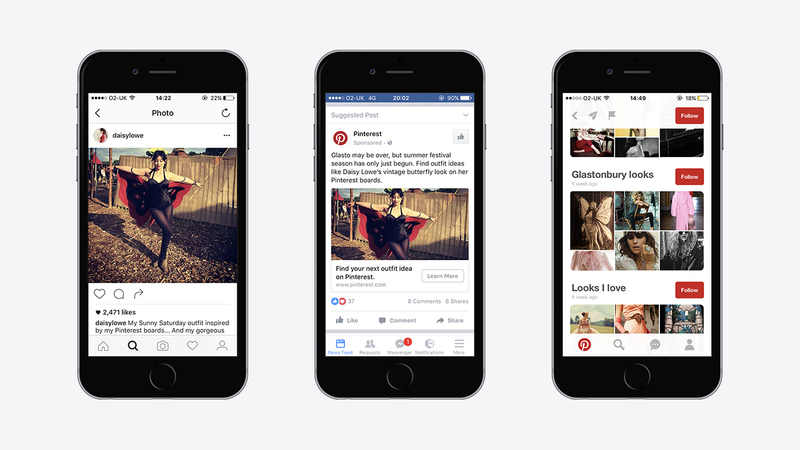 Make the Pinterest UI synonymous with solving everyday ‘very British’ problems, with over one hundred contextual executions across outdoor, TV and mobile. One of over 100 hyperlocal DOOH executions. A selection of always-on bespoke copy and sound TV idents. Working alongside Mediacom and Channel 4, we took lines directly from shows that rate highly with the target audience, and transformed them into bespoke ads that played in the commercial breaks immediately after the line. These executions were supported by always-on TV, where viewers of programs based on food, style or parenting were served relevant creatives to the show's genre. Executions featuring lines taken directly from high rating Channel 4 programmes. 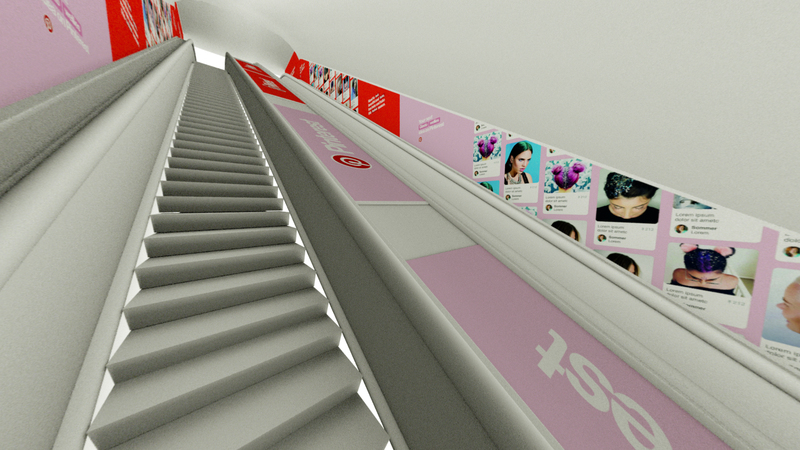 Bond Street station bespoke vinyl escalator wrap. 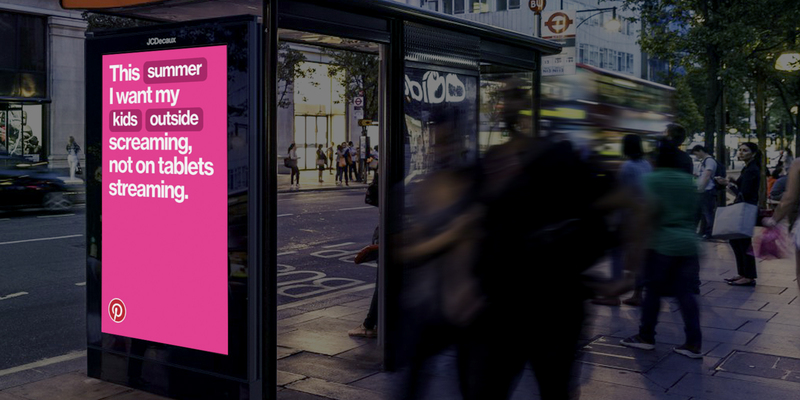 To complement the always-on TV and social components of the campaign, we tapped into big moments on the British cultural calendar for bursts of tailored DOOH and OOH executions. The first of these was Glastonbury, and summer festival season, where a series of bespoke copy lines based on festival fashion trends were served around busy London shopping centres. The OOH campaign debuted in June 2016 with a colourful takeover of Bond Street tube station escalators and tunnels leading to busy Oxford Street. DOOH + OOH June 2016 burst to complement summer festival season. Social executions across Facebook, Twitter and Instagram retarget audiences who have seen the TV or DOOH spots. These executions feature content from influencer partnerships, real-time weather data, and trending ideas on Pinterest.